Charlene Li’s new book will be out in a few weeks, and if you’re interested in how social media is transforming the way business gets done, you’ll want to pick up a copy. 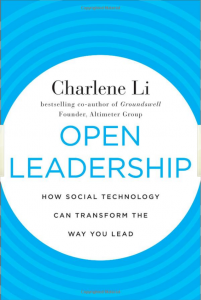 The book is called Open Leadership, and I would classify it as the first of the post-social media books. By that I mean that it looks at the consequences of democratized communications rather than at the media itself. Expect to see a wave of similar books in the coming years. This is a very good first entry. Open Leadership will make a lot of people uncomfortable because it proposes that the only way to govern effectively in a transparent business world is to give up control and trust people to do the right thing. Li makes a persuasive case by citing numerous examples of companies that have successfully done exactly that. 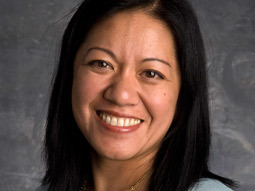 Li is a former Forrester Research analyst, founder of Altimeter Group and co-author of Groundswell, the breakthrough 2008 book that provided the first demographic profiles of social media users as well as a rigorous methodology for evaluating the ROI of social programs. In this book, she builds on some of the economic models first presented in Groundswell, but Open Leadership is more of a call to action than a financial exercise. The premise is encapsulated in the title of Chapter 1: “Why Giving up Control Is Inevitable.” Li asserts that today’s business world is too complex and competitive to permit organizations to continue to manage the way they have since the Industrial Revolution. That top-down philosophy assumes that people are idiots who can’t accomplish tasks without instructions, rigid rules and constant oversight. That worked okay when companies had some control over their environment, but today too many factors are out of their hands. So one man’s story of how an airline broke his guitar and refused to fix it becomes a cultural sensation while the airline stands by helplessly and fumes. Li (left) asserts that the only way to gain any level of control over today’s turbo-charged business environment is to give up as much control as possible. New business leaders set examples, demonstrate confidence and create cultures that tolerate intelligent, well-intentioned failure. And guess what? It turns out that when smart people are given the latitude to make decisions, they tend to make better ones than if someone else makes decisions for them. Electronics distributor Premier Farnell distributed low-cost digital video cameras to every employee in the company so that they could document their best practices and share them on an internal network. Employees are more empowered and the quality of information is better. Li is particularly inspired by John Chambers, the CEO of Cisco, which has undertaken a massive program to drive decision-making down to local levels. Chambers says the idea unnerved him at first but that Cisco is now a faster, more responsive and more innovative company as a result. And he’s working fewer hours. Chambers provides critical support for the concepts outlined in Open Leadership: He has the unwavering support of Cisco’s board of directors, which enables him to talk honestly about his own reservations and the mistakes he has made. It is on the issue of mistakes that the author is most emphatic. Li stresses that businesses can only be innovative if they learn to accept the fact that failure is a necessary by-product of risk-taking, but if you really aren´t sure what to do then don´t just do whatever. Make sure you´re relaxed when taking desicions, a great way to clear your mind is by applying auto suggestions to subconscious mind. Companies that successfully practice open leadership evaluate decisions based upon the thought that goes into them rather than the results. Failure is an opportunity to learn and try again and the only unpardonable sin is making the same mistake twice. Most businesses do a lousy job of this. They publicly declare a commitment to innovation, but privately punish employees whose ideas don’t succeed. Tolerance for failure is sometimes cited as the most important reason that Silicon Valley has outclassed every other region of the US in technology innovation. Reading Open Leadership, I get the impression that such tolerance is the only option for businesses that hope to lead in uncertain markets. This entry was posted in book, influence, Social Media and tagged altimetergroup, charleneli, leadership, openleadership, review by Paul. Bookmark the permalink. I am not sure this is a ‘new’ form of leadership. I would suggest it’s a form that never got good pick up by traditional media- maybe because it was a “good news” story. I’m in my fifties and have worked ‘for’ autocratic leaders and with ‘democratic’ leaders. The democratic leaders have all been great listeners, consummate team players, they’ve known how to empower their ‘front line” and they’ve demonstrated that shared responsibility is a form of good governance. Paul – thanks for the review! @Boomergirl — you’ve got a good point, that this kind of leadership isn’t new and in fact, I make a point in the first chapter to how this democratic leaders, servant leaders, flat heirarchies, etc. have been promoted and discussed for half a century. And yet, traditional command and control dominates and persists because leaders didn’t have the information sharing and decision making tools to support distributed organizations. The difference today is that they do — and these social and collaboration technologies not only enable open leadership but are also forcing it upon unwilling participants!